What institutions need to know about the online student identification and verification? "What institutions need to know about the online student identification and verification?" Student Identification and verification is defined as the verification of identity is in person or remote (meaning from a computer or portable device) which is usually accomplished by the use of biometric credentials. 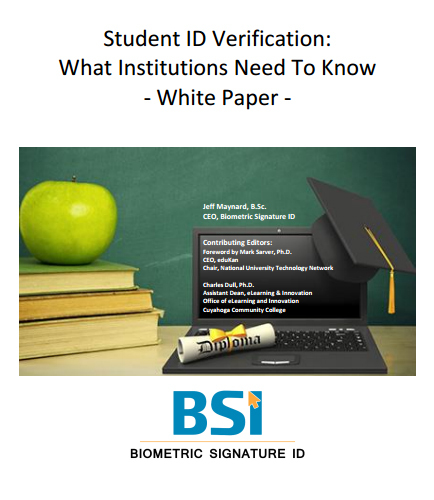 Download this whitepaper to learn more about the student identity and verification methods which reduces the risk by providing the industry’s most complete solution for student ID authentication.